NEXT is a brand new book geared for high school juniors and seniors, or anyone facing a life change. Looking for an amazing and affordable graduate gift for the Class of 2016? 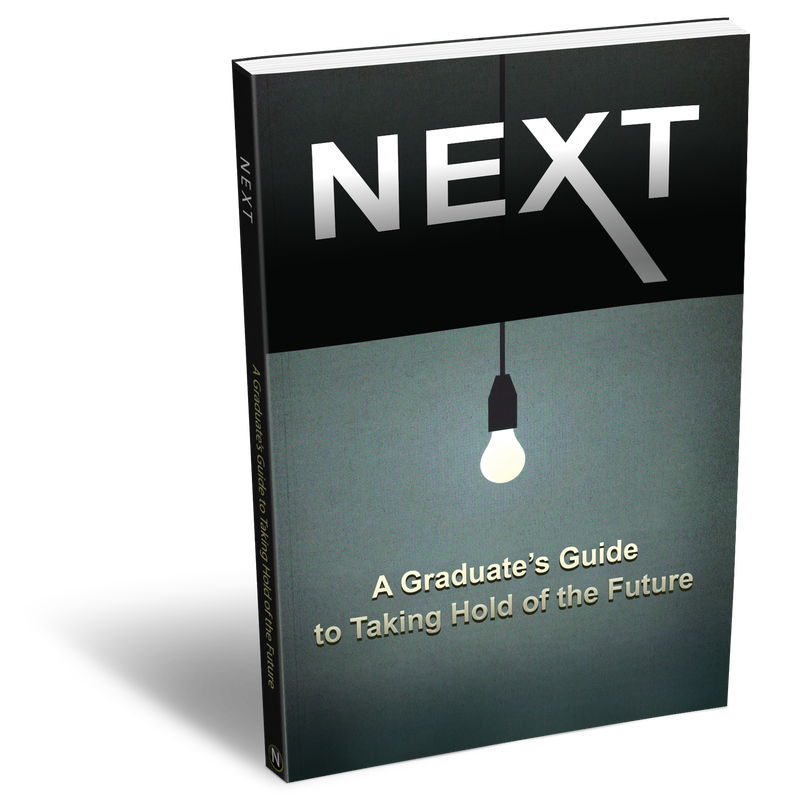 Co-authored by nine of America’s student ministry experts, NEXT helps position the graduates in your student ministry to transition well into the next season of their life and continue to grow in their faith after high school. Matt Maiberger has been involved in student ministry for over twenty years, serving in small, medium, and megachurch-sized student ministries. He is the founder of Youth Speaker’s Coach – A ministry through which he helps youthpastors sharpen their communication skills with students and coaches them to become great youth speakers so that they have significantly improved impact and influence for the Kingdom of God. Married for 18 years, he and his wife, Amy, have three children and reside in Fort Collins, Colorado, where he serves as the Associate Pastor of Life Church of Fort Collins. When Jeff Schadt realized the tragic number of Christian youth leading dual lives with their parents and who enter adulthood separated from the church, he felt compelled to take action. Jeff founded the Youth Transition Network in 2005 to address these issues. Jeff is the author of the acclaimed book Going, Going, Gone!, endorsed by Josh McDowell. Jeff and his wife Deedee devote their lives to making sure youth have thrive as they transition into adulthood. John joined Christ In Youth in May of 2008, and serves as the senior director of summer events. CIY exists to amplify the call of Christ in a student’s life to be a kingdom worker. John and his wife Michelle love experiencing life together, and love being a part of God’s kingdom. John grew up in southern Illinois, and after graduating from Lincoln Christian College, has spent most of his time enjoying life change in student ministry. John and Michelle have three little dudes and enjoy watching them explore, playing bocce ball and long walks on the beach. Dewayne Moree is foremost a follower of Jesus Christ, husband, father, pastor, ministry coach and friend. He has served in student ministry for over fifteen years from small church volunteer to large church multi staff. Dewayne currently serves as the State Youth and Discipleship Director for the Church of God in Mississippi as well as the Founder/Director of the Youth Ministry Coaching Network. Seth Silvers is the Marketing Director for Heartwork. Heartwork helps to challenge students to live free from a culture of self focus by empowering them to spend themselves for others in need. Seth has always been passionate about helping people live out their dreams and passions and started his first ministry at age 16. Traveling, meeting new people, telling stories and writing for multiple blogs including RELEVANT Magazine keep Seth excited for the future. David has been a K-12 arts and humanities teacher, a carpenter, an English teacher in China and has worked with youth in churches for over 4 years. He is now a graphic designer for ELIC in Fort Collins, CO. He loves playing with his sons, loving his wife – April, and exploring anything related to origins or dinosaurs. His spiritual Bucket List includes: creating and producing a graphic novel exploring supernatural creation through Noah’s flood cataclysm, working with youth to explore their origins, identity and purpose in Christ, and writing fiction and articles. Michael Winakur is a follower of Christ who is half jewish and half Cherokee. Loves to laugh and when it calls not take life to seriously. Serving in his 5th year as youth pastor at Southeast Christian Church, but has been doing ministry for 10 years. Married to the beautiful Mindi and Father of two animals also known as boys Mason and Marek. Loves the TV show CakeBoss and is always on a diet. Alex Bricker – Missionary, International Students Inc.
a nationwide non-profit organization that seeks to “share Christ’s love with international students.” He is an entrepreneur and team member with Life Outfitter, LLC and seeks to passionately equip believers in Christ to discover their God- given motivational gifts. He received his B.S. in Contemporary Media and Journalism from The University of South Dakota and an M.A. in Leadership from Denver Seminary. Alex resides in Fort Collins, CO with his beautiful wife, Mary, and their two children. Josh Gering is the student ministries pastor at Bethel Church in Chehalis Washington where he leads Fusion Student Ministries & Bethel School of Ministry. He is passionate about students discovering that they are created by a great God for a great purpose. He has been in youth ministry over 20 years serving churches in Oregon and Washington. He enjoys riding quads at the dunes, playing basketball and watching sports but is favorite activity is spending time with his wife Shereena and their two beautiful kids, Macey and Treysen.